We understand that you may not need or wish to invest in drainage machinery; especially if your drainage requirements are not extensive. 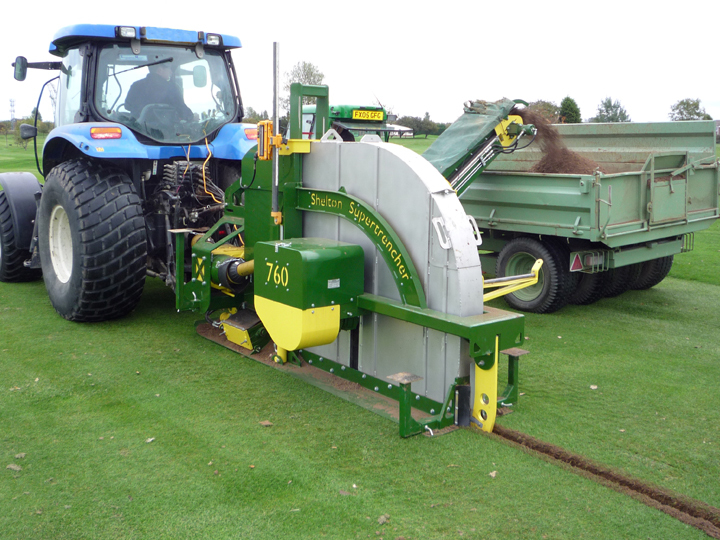 Therefore each piece or Shelton drainage machinery and supporting products are available to hire on a day rate. Alongside trencher hire, Shelton also hires tractors, all on wide turf tyres, with creep speed gearboxes, ranging from 45hp to 130hp. If you do not have the manpower or the specialist operational knowledge at your fingertips, it is possible to hire a trencher, tractor, trailer and our operational expertise through our partnership hire scheme. Shelton provides the specialist equipment and skilled labour, and you provide any additional equipment and labour required. Working in this way can reduce your costs significantly over direct contracting, whilst maintaining quality or work carried out. Shelton is a member of the Land Drainage Contractors Association so the quality or our workmanship and the materials that we use are assured.